This chapter examines the diffusion and adoption of electronic governance systems (e-government) in South Africa. The purpose of the chapter is to determine how the supply side in South Africa has facilitated consumers' adoption of e-government. To achieve this objective, an extensive review of the literature encapsulating e-government, South African public services, information communication technologies (ICTs), and commerce was conducted. Findings revealed interesting results. First among many was that e-government is viewed by the government as a panacea to a plethora of socio-economic problems facing the country. It was further revealed that e-government initiatives at the municipality level are quite instrumental in driving the e-government agenda in South Africa. Of note, municipalities have rolled out various e-government programs. As a result, the country's overall e-government rankings were observed to have significantly improved in the recent past. The chapter concludes by highlighting several opportunities through which e-government could be further strengthened. The use of ICTs in the provision of public goods and services, commonly known as electronic government (e-government or e-gov), is a fast developing phenomenon. e-Government is simply leveraging on the power of the Internet to provide public services on-demand, i.e., 24 hours–7 days a week (Heeks, 2006). For instance, e-government allows for ratepayers to view and settle bills online on a municipality website, among other features, anytime and from anywhere (e-Tshwane, 2018). Although the e-government hype is rapidly diffusing in different parts of the world, it is not as widely received in developing countries. In Africa, for example, most countries are observed to be lagging behind on the various e-gov indices such as e-government development index (EGDI) and the e-participation index (EPI). With the diffusion of these new innovations, it is clear that consumers’ uptake of e-government is sporadic. As illustrated in past studies (c.f., Mosekwa, 2018; Mutula & Mostert, 2010; Shambare, 2016), adoption rates are, on the whole, quite low. Specifically, Shambare (2016) identified some barriers and constraints inhibiting the rapid uptake of e-government in developing countries. Some of the barriers identified amounted to consumers’ attitudinal issues and structural features. 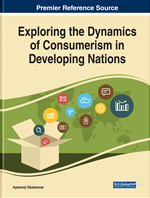 Citizens’ behavioural and attitudinal factors such as risk, trust, and illiteracy accounted for most of the consumer constraints. On the other hand, structural barriers consisted of poor infrastructure, limited availability of Internet connection, high Internet data costs, and apathy from governments to establish e-government portals. While the above-mentioned constraints are characteristic of the state of e-government in most developing countries, South Africa, in the last three to five years, has reversed this trend, as increasingly more consumers are resorting to e-government. The latest United Nations e-Government 2018 survey sheds new light and points towards a positive rebound for South Africa. In the period up until 2014, South Africa’s e-Participation global ranking declined from 83rd position in 2012 to 97th position in 2014 (United Nations, 2018). However, today, its global ranking stands at an impressive 39th position, which even surpasses Mauritius – the highest ranked African country in terms of e-government. According to United Nations (2018:33), e-participation refers to the practice of striving for the “digital inclusion” of all citizens within a country. In other words, e-participation, as a government programme, strives for total ICT-coverage. This means connecting those unconnected to the Internet; and not leaving anyone unconnected to the use of information and communication technologies to broaden and deepen civic participation by enabling citizens to connect with one another and with their elected representatives (McIntosh, 2004). Clearly, the South African case study is an impressive one. It, therefore, was opportune for this chapter to examine the e-participation ambitions of the South African government. More importantly, the strategies employed to help citizens overcome barriers associated with e-government adoption are worthy of investigation. In doing so, the chapter seeks to highlight the many consumer behaviour lessons learnt from the South African e-government case study. Chief among these is that supply-side interventions including branding and advertising are crucial steps in promoting adoption of innovations. Naturally, such intervention is dependent on service providers’ comprehension of consumers’ needs. It is against this background that this chapter examines some of the supply-side considerations in the consumers’ adoption of e-government in South Africa. The rest of the chapter is structured as follows: Section 2 examines the e-government agenda in South Africa. It focuses on the various e-government initiatives, scope and the various e-gov indicators. Section 3 provides an analysis of the supply-side of e-government programmes in South Africa. Therein, the different strategies employed by government and public sector organisations are discussed. Then in Section 4, some suggestions and opportunities of e-government initiatives are discussed. Lastly, Section 5 provides some concluding remarks. Public-Private Partnership: Also known as PPP, is a synergistic arrangement through which government (or public sector entities) partner with the private sector in order to pool resources, expertise, and skills in order to efficiently provide high standard public goods and services. Examples of PPP projects include major infrastructure projects such as the construction of roads, hospitals, schools, and wi-fi projects. Trust of Government: Consumers’ perceptions and confidence in the ability and integrity of government departments to provide efficient online services via e-government platforms. Batho Pele: A South African political ideology that seeks to uphold traditional African values, beliefs, and practices in government. Batho Pele was introduced by the new democratic government of South Africa as a vehicle to promote the participation of all citizens in governance structures. Batho Pele is a derivate of the Ubuntu Philosophy. Ubuntu: Refers to an African philosophy that seeks to promote harmonious relations and interaction among people. This philosophy suggests that a person can only truly and fully exist if he or she co-exists with others in his or her community. In other words, this means that one should always have a strong sense of consideration for others. E-Government: Refers to a system in which citizens and various other stakeholders interact and transact with the government remotely by means of information communication technologies such as telephone, e-mail, and the internet. Technological Poverty: A condition through which a consumer lack access to or has limited access to ICTs and technology, in general. Disposition to Trust: Also known as DoT, refers to consumers’ personality disposition. It refers to individuals’ propensity to trust other people. DoT is composed of two concepts: faith in humanity and a trusting attitude. Faith in humanity is the general assumption that all people are good-natured and dependable. From this point of view, there is no reason not to trust anyone. On the other hand, a trusting attitude assumes that if one deals with other people as if they are well meaning and reliable, then these people will act in a manner that promotes trustworthiness. M-Government: A variation of e-government which relies on mobile telephony for government-to-citizens interactions. Adoption: Refers to consumers’ decision to use or utilize a technological innovation (in this case e-government services) in order to improve their life or work.